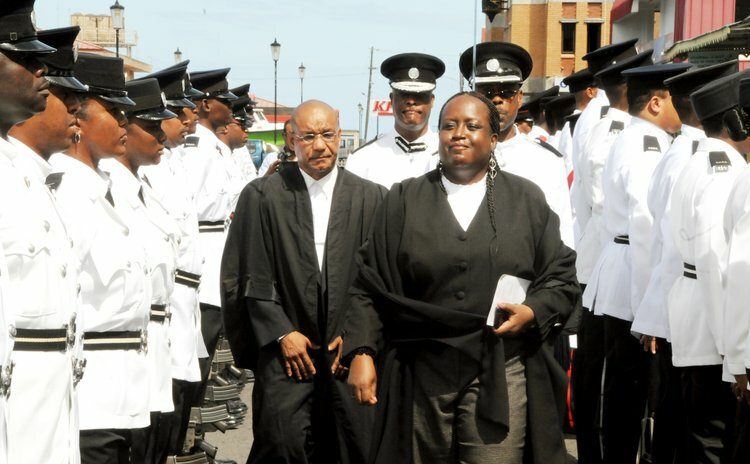 Levi Peter, the Attorney General and acting Director of Public Prosecutions called on members of the Bar Association to support their association while being mindful of their extracurricular activities with regard to matters of social issues. Peter was a number of attorneys who addressed the Roseau legal fraternity following the annual broadcast by the Chief Justice of the Eastern Caribbean Supreme Court Janice Pereira from the British Virgin Islands on Tuesday September 17, 2013. Peter noted that it was for the Bar to explain in a clear manner about law and the judiciary and to correct misinformation from those who attack everything and everyone they do not agree with. The Attorney General then expressed "profound congratulations" to Marie-Therese Etienne of Penville who did extremely well at the Legal Education Certificate course in Trinidad. Member of the Bar Association, Mary Roberts, in adding her own congratulations to the achievement of Etienne, added that Etienne was the student-of-the-year at the Sir Hugh Wooding Law School. She extended formal welcome to Justice Errol Thomas who is the second judge in Dominica along with Justice Birnie Stephenson; Justice Thomas replaced Justice Brian Cottle who was assigned to Antigua & Barbuda. Roberts said the Bar would rise to the challenge in the new year by lending its service to the community. She invited the younger members of the Bar to lend their support. Senior Counsel Alick Lawrence wished Justice Thomas a productive and enjoyable time, that since the Bar in Dominica was young, his guidance would be critical. The legal Bar, said Lawrence, would give some continued legal education during this law term. Minister of Legal Affairs Ian Douglas said Government was mindful of the need for improved facilities, the modernization of civil registration such as births, deaths and adoptions by next year. Government was allocating $1 million for that physical upgrade of different areas of the registry. Douglas added that Dominica would be cutting ties with the Privy Council of Britain in favour of the Caribbean Court of Justice (CCJ). J Justice Stephenson urged lawyers to work hard for their clients, but to be respectful to the courts whether one agreed or disagreed with them. "If you have a serious disagreement, you can take it to the court of appeal'', she said.